It is not uncommon to be arrested and charged with domestic assault and battery in Malden. Not only is this a common charge in Malden, it is common across the state for a number of reasons. Domestic assault and battery charges can be complicated and require that you go through the court process. You should contact us today, as we are happy to explain the charge in great detail and what you can expect. In the meantime, our website is designed to help those arrested for domestic assault and battery understand the charge against them. These charges can have serious implications if you are found guilty, and the charge will appear on your record if a potential employer runs a background check. Many people believe that if the victim does not wish to press charges the case will be dropped and the arrest will disappear from your record. This is not the case, and these charges are extremely serious in nature. What is Domestic Assault and Battery, and how does the charge differ from regular assault and battery? Are the laws the same? What are the penalties of being found guilty of an assault and battery charge? Am I going to face jail time? - As with every criminal charge, the penalties you will face will depend largely on the facts of your case. Likely, you will not go to jail, but you should be aware that it is a possibility and the maximum jail sentence you could receive is 30 months. Domestic assault and battery is a misdemeanor in the state of Massachusetts, and usually if a defendant is found guilty, he or she will have to complete court-ordered probation and will be required to pay fines to the court. Anger Management classes or a Certified Batters’ program may be required of you as well. I was arrested but my spouse no longer wants to press charges against me. Will the case be dropped? Will the charge still appear on my record? How can I avoid being found not guilty of domestic assault and battery? A charge of domestic assault and battery is confusing, as it involves family members and loves ones that are close to you. There are a number of misconceptions regarding these charges, but they should be taken very serious as many of these charges have to be taken to trial. case to be heard in the Malden District Court, pictured above. 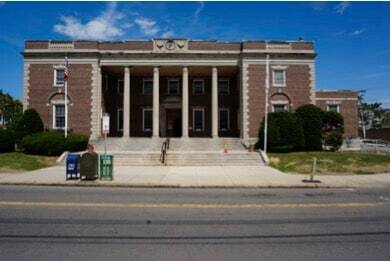 The court is located at 89 Summer Street, in Malden, MA 02148. The criminal defense attorneys at DelSignore Law are available to help you during this difficult situation. We understand that following a domestic assault and battery arrest, emotions may be running wild and you may have questions for us. Please feel free to contact us today. To learn more about domestic assault and battery charges visit our website here. While on our website, feel free to view our criminal defense case results.